I’ve been covering Haiku Games’ Adventure Escape series for years now, as they’re a rare breed of room escape game that’s both completely free to play and free of disruptive ads. They also feature stories that are sometimes serious, sometimes silly, but almost always entertaining. And they often star strong female leads, which I can certainly get on board with. Since they have a new game releasing this week, I sat down with the founder, Andrew Ow, to ask him a few questions. Enjoy! Appunwrapper: Hi Andrew. Thanks for taking the time to answer some questions about the Adventure Escape games. I’m sure my readers are as eager to know more about your company as I am. Andrew Ow: Hello, I’m Andrew and I’m the founder of Haiku Games. We make the Adventure Escape series that tens of millions of people have played. I started the company in 2013 after working at Playfish / Electronic Arts and going to business school at Stanford, and now we have a small team working on these games. So, first question. I’ve actually been wanting to ask this for a long time. How do you manage to keep your games all 100% free, without any ads? You’re also generous with the stars used for hints. It seems like a model that would make a studio go bankrupt, yet you’re now releasing your fifteenth game in the series, so it must be working well for you? Luckily we have a ton of enthusiastic players who download our games. The people who buy some in-app purchases support us, so we want to give a big thanks for those people who do. We also do run a few ads. So in fact we’re growing the studio rather than going bankrupt! I’ve also rarely seen your games get featured or chart in the top games list. In fact, I usually end up noticing them a few days after release. The upcoming one is the first time I’ve known about one before release. How have you managed to do so well without much marketing or attention from Apple? You’re right in that we are pretty low-key about marketing. We typically “soft launch” a game without much marketing to see if players like it, and to catch any bugs that may have cropped up past our quality assurance process. We’ve been lucky to build up an audience of Adventure Escape fans that will naturally find the game. When we are ready, we cross promote our game from our other games, email our email list, and also post on our Facebook page. While we haven’t gotten much love from Apple, we are on other app stores. For example, Haunted Hunt was featured by Google Play just a few weeks ago. We hope to do more with marketing in the future since not many people know about us! What inspired you to make your first Adventure Escape game? About 6 years ago, my wife and I went to our first real life escape room with some friends. We had an absolute blast, and have since been to over 50 escape rooms together. At the time, I was looking for different game genres to work in, and I discovered that there were a lot of escape games on the app store. I thought we could do better job than many of the games on the store, and that was the inspiration for Adventure Escape. That’s very cool that this whole thing started with real life room escape games. I’ve only done one of those and it was fun but also super stressful being on a timer. Have you been winning most of the games you play? My wife and I probably do win the majority of the real life escape games now. But we have a lot of fun whether we escape or not. How do you decide on a theme/story for each game? Is it getting harder to do as you add more games to your belt? The process is similar to pitching a movie. We start brainstorming high level concepts for different games. We pick a few favorites and then try to develop them into something that has enough twists and turns for a game of our length. On one hand, it’s getting harder as we are pushing ourselves to tell more and more interesting stories. On the other hand, we are never short of ideas and we always have more games we want to make than we can actually produce. Would you be willing to share some of the ideas that haven’t been turned into a game yet? Or ideas that were scrapped for one reason or other? One idea that we were trying to work into a game was a concept that the player could travel into different paintings in an art museum. Each painting would be a different chapter. We had some trouble figuring out how to make the story hang together, so we tabled it for now. We may return to the idea in the future, since the art would be beautiful. And how do you come up with the puzzles? Do you ever worry you’ll run out of ideas? We have a design principle called “satisfying challenge” that we write about in our blog. We hope each puzzle is challenging but not difficult just for the sake of being difficult. We try many ways to come up with puzzles. Some designers start with the theme and try to figure it out from there. 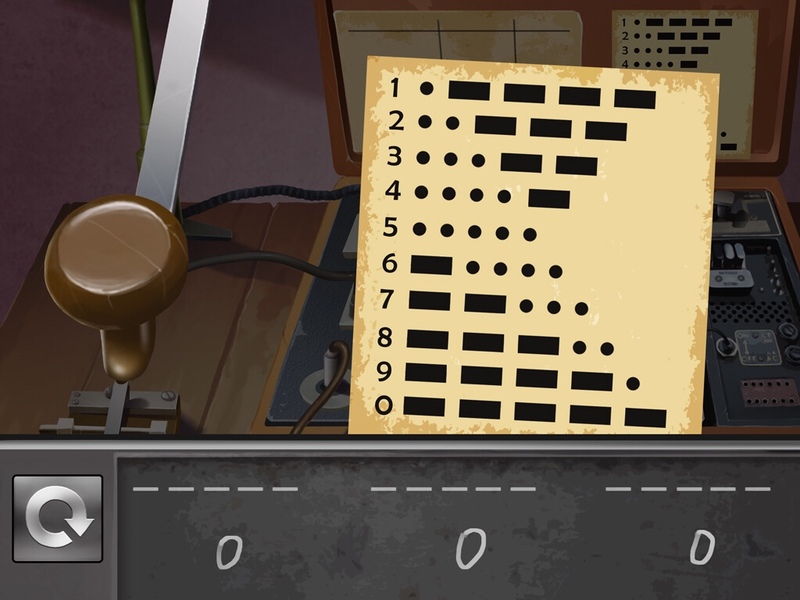 For example, in Allied Spies, we wanted to do something with radioing in morse code, so our designer, Gene, came up with that puzzle. Other times, we seek inspiration from past games, or just stare at a wall lost in thought! Which game is your personal favorite? I’m going to have to take a pass on this one! It’s like naming a favorite child. I will say that I’ve been more and more impressed with our more recent games, and I believe we will continue to improve in the future. Most of your games have featured strong female characters — which I appreciate — but I noticed lately you’ve been introducing some male leads. Are you trying to reach a wider audience and is that working? We absolutely believe in providing a diverse cast of characters for our games. We want to be able to tell different types of stories. At the same time, many players love characters from our existing games, like Detective Kate, so you can definitely expect to see more of her in the future. While I do enjoy playing your games, occasionally I’ll criticize one for a certain puzzle or mini game. The knots in the mirror is one that I’ll never forget for the amount of frustration it caused. Do you ever look back on a puzzle and regret it? We are continuously learning how to make good puzzles, and the knots puzzle is one that turned out way more difficult that we expected. One lesson we took from the knots puzzle is that a puzzle that plays differently across devices is hard to get right. The puzzle was already hard on a tablet-sized device but it was nearly impossible on a smaller phone. We’ve updated the game to be more generous about what counts as a fail, and added “save points” in the puzzle, but if I had to do it over again we would do something different. I noticed you got a silly complaint over your game Allied Spies, the one where you’re fighting Nazis. Someone was upset over having to punch literal Nazis, I guess. Did the current political climate have anything to do with you choosing that topic? It’s certainly impossible to make every player happy! Our games are pretty compact, so sometimes players take one situation in a game and blow it up to something it’s not meant to be. Politically, I’m in favor of anything that makes humankind better off. Can you tell us anything about the upcoming game? What can we expect from it? Yes! 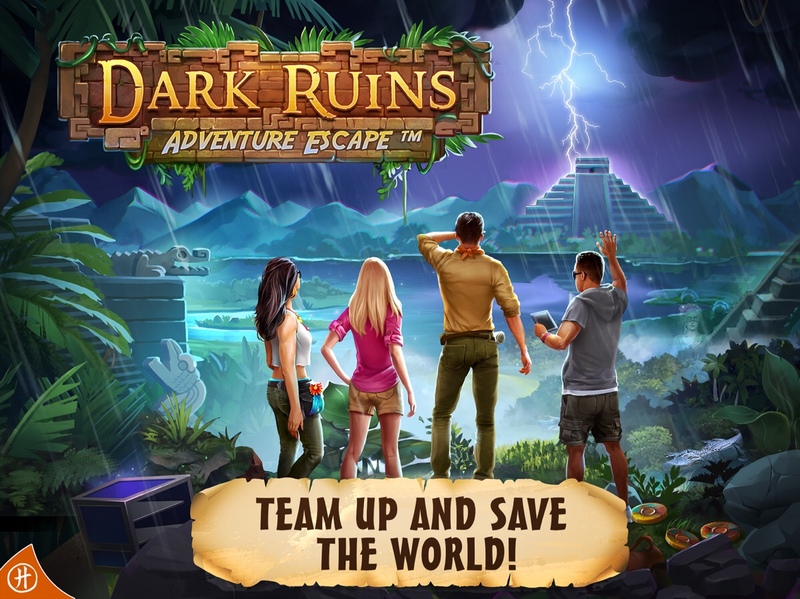 We have a new game called Adventure Escape: Dark Ruins available for pre-order on iOS (Google Play and Kindle Fire coming soon). A team of archaeologists crash-land in the jungle and rediscover a forgotten, cursed city. They’re quickly swept into a 500-year-old mystery that threatens to flood the world again. The team from our Hidden Ruins game reunites and meets new characters. Gene Mocsy, one of the designers behind Perils of Man, was the game designer for Dark Ruins. The story delves deeper into the backstory of the characters from Hidden Ruins. In addition, it has some of the funniest dialogue we’ve written. I’m excited for everyone to try it! And so am I! Thanks so much for your time and I look forward to the new game.